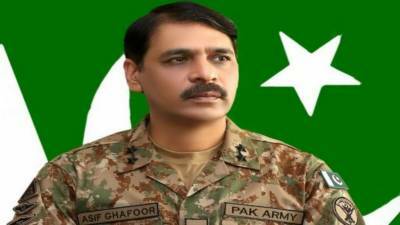 RAWALPINDIN - Director General Inter Services Public Relations (ISPR) Major General Asif Ghafoor says PSL Final has brought more glitters to Karachi, the 'City of Lights'. In a tweet, he thanked Pakistan Cricket Board, foreign players, government administration, security apparatus and the resilient Pakistanis for this event. The DG ISPR said terrorism imposed on us is on the way out and we are on the way to our rightful destination of enduring peace and stability.